PARIS – Today is Tax Day. The Ides of April. Time to square up the accounts with Uncle Sam. 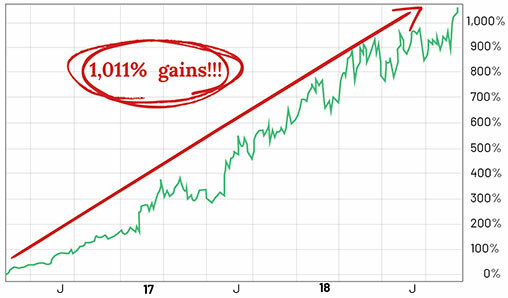 His previous forecasts have given early investors the chance at rare and exceptional gains as high as 200%… 1,011%… and more. As we showed last week, the Trump tax cut was no real cut at all. The average person will save less than 2% on his tax bill. But his real cost of government went up – 10 times as fast. The latest budget proposal calls for a 20% increase over Obama-era spending, with $2 trillion more in debt added in the last 24 months. As David Ricardo demonstrated 200 years ago, the cost is the same, whether it is taken from people directly in taxes, or embezzled from them in the form of debt. But as the number of PhD economists has gone up, the public’s awareness of basic economics has gone down. Now, people are ready to believe six impossible things before breakfast. They think that, somehow, the Fed will take care of it… or that the rich will pay it… or that we will grow our way out of it. None of those things will happen. Instead, the tax cut was a typical win-lose deal from the feds, taking money from the many to pay off the few. The winners were people who owned businesses, such as your editor. We benefited from substantial tax reductions. The losers were middle-income consumers and taxpayers… who will eventually pay higher taxes, higher prices, with lower incomes. And the bill is coming due remarkably fast. And his April 17th announcement could make you a fortune. Newly available net worth data from the Federal Reserve suggests that the “left-behind” contagion has spread to all Americans aside from the top 10 percent. While still wealthier overall than most other groups, even the upper middle-class is feeling the pinch of income stagnation. The growth rate of this group’s incomes is lagging behind that of those both lower and higher on the socioeconomic ladder. The cost of many products and services the upper middle class buys, from autos to college educations, is outpacing overall inflation. While having access to credit, these households are increasingly tapping into costlier forms of debt. Here at the Diary, our outlook is simple. Wealth comes from win-win deals. The more you prevent people from doing win-win deals – by regulations, taxes, fake money, distorted interest rates, trade barriers, QE, and debt – the less wealth you get. There’s no mystery to it. The more the feds stymie, stifle, and pretend to stimulate the economy… the more they cause it to stagnate. That is what is happening in the U.S., now. Growth rates are only half of those of the 1950s-1970s. And real wages – properly measured – are lower than they were in 1975. Progress slowed down, despite infinitely more of all the things that are supposed to speed it up – PhDs in all disciplines, think tanks, research facilities, accumulated technology, abundant capital, and stimulus up the wazoo. Why Haven’t Americans Been Told These Investment Facts? If you have any money in a 401(k), IRA, or a brokerage account, you need to see this now. Silicon Valley insiders are piling millions into this… Early investors may make a fortune. Most of those things are simply irrelevant. But stimulus in all its forms is a fraud. The feds claim, for example, that the economy needs precisely 2% inflation to keep it properly juiced. But look at the two periods of highest growth, the late 19th century and the 1950s; there was no inflation at all in the former and only about 1% in the latter. And if inflation really did stimulate an economy, Venezuela should have the heebie jeebies, running berserk with growth. It has inflation of about 2 million percent. Argentina – with inflation estimated at about 100% – shouldn’t be doing badly, either. Both, of course, are in severe downturns. Inflation doesn’t stimulate an economy any more than phony tax cuts, phony interest rates, or counterfeit money. It is just another way the feds cheat the public for the benefit of the insiders. We’ve seen how the tax cut ripped off middle-income taxpayers. Even low levels of inflation work the same way. The insiders use low-interest loans to speculate on rising asset prices. But the public has to pay higher and higher prices. Even the upper reaches of the middle class are finding it impossible to keep up. At the lower end, they don’t even try. Editor’s Note: In lieu of our normal market insight, today we share a message for Diary readers. 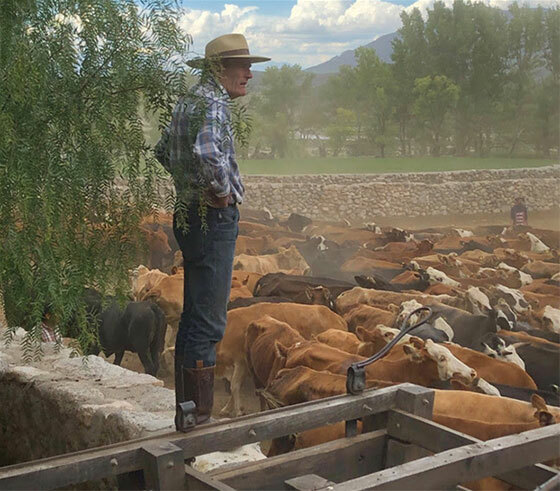 For some time, Bill and company have been working on a special project up at the ranch. The details are now ready for publishing. We’ll let Will Bonner, Bill’s son and publisher here at Bonner & Partners, fill you in on the rest. Chances are, if you’ve been reading the Diary for any amount of time, you’ve heard of our ranch in Argentina – Gualfin. First, let’s take a little journey 5,000 miles away, to Argentina’s western frontier. …then, a landing strip for a private plane. “Up the road” from Hess (several hours away), is the ranch that you know as Gualfin. About a decade ago, my family bought this enormous ranch (about the size of Rhode Island) because it reminded my father, Bill Bonner, of the westerns he read as a boy. …and a unique microclimate found nowhere else on Earth. If you talk to wine growers, they’ll tell you: Poor soils make for great wine. And the soil here is awful. Entire years might pass without more than five inches of rain. Despite being in direct sunlight, you’ll wear long sleeves and pants… to protect from the intense UV rays (the sun here is 80% more intense than Bordeaux). At night, the temperature will suddenly drop down as much as 77 degrees! Winemakers, they say, like their grapes to get a bit of a challenge. But here, they cling to the edge of survival. …but this extreme hardship is also the secret that produces a one-of-a-kind wine… with great flavor… and an inky color so concentrated it turns even stainless steel bright red! …it’s a 2017 high-altitude Malbec, from grapes grown at 8,421 feet… bottled by Raul Davalos, patriarch of the oldest wine-making family in Northwestern Argentina. The Tacana Malbec is not available in any store or restaurant here in the United States. You won’t find it on Wine.com. We strictly sell it “off the market” to a private waiting list at $450 for a case. A year’s entire vintage (4,000 bottles) typically sells out within less than 24 hours. And within hours of that, the waiting list for the next year is usually filled up. You can drink it straight from the bottle to taste camphor wood and spice. Or let it decant for two hours and uncover subtle notes of berry and fruit. Now, I know that some Diary readers have had the occasion to try Tacana. They’ve written in telling us how much they love it. That means the world to us. 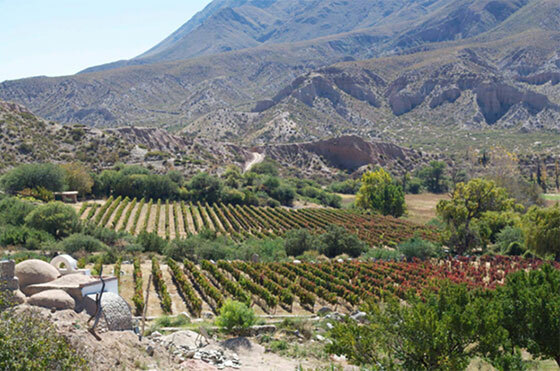 But Tacana is not the only amazing wine that comes out of this high-altitude region. The area is dotted with tiny “microclimates,” each producing a different, unique wine. Recently, I discovered a way to bring a collection of these wines to America – some for the first time ever. I’d love to send six bottles to you. No middlemen. No markups. 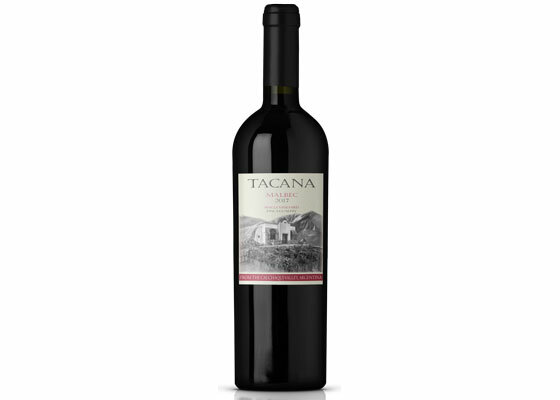 Yes, we are also including our own wine – Tacana – in the collection. But frankly, it’s actually not the wine I’m most excited about in this collection. I’ll give you all the details right here. But just remember, we have limited supply. And once we’re out, that’s it. You’ll have to wait until next year. So go right here before that happens. Today, dear readers take on a mailbag favorite: President Trump. Someone has to try to change the inevitable downfall of our republic and, at the very least, Trump is trying! Maybe it will lead to an actual savior, or maybe it’ll hurry along our downfall; but, at the very least, he’s bucking the rotten system. I do enjoy the ranch stories and I love that Bill is a glutton for punishment in the great beyond! Trump tax cuts are still good for our hardworking Americans and companies. More money for them, less for government. Although you say mainly companies are buying back stock, instead of investing in capital expenditures, the one thing you don’t mention is why. Is it because they are greedy, or is it because there is a lot of uncertainty in the future mainly because government is showing it can’t be trusted, and therefore, investing in capital expenditures may not pay off? The bottom line: don’t blame companies, focus on the real culprit – government. If government can do the right thing and not be a burden to our country but, instead, get its house in order and make the tough decisions, and become more dependable, then, just maybe, companies may find investing in the future is the way to go. Then a real economic boom will occur. Until then, my suggestion is to focus on what government is not doing or doing, which is keeping this country from reaching its true potential. In response to Don G.’s good-intentioned comments (also well written)… I believe he is mistaken when he opines that there is a faction who want to develop what the “founders” wanted. Not even in your dreams, sir. “They” want “the empire” to collapse and to replace it with those who “know” what the people have become desperate for (food and shelter). Because, with the collapse comes ruin, calamity, and privation. “They” will be the lords and everyone else will be their slaves (and/or cannon fodder). You will swear allegiance to “them” or die. If you want to learn how you could start earning $81,624 per year, as early as tomorrow, you’ll want to check out his presentation. 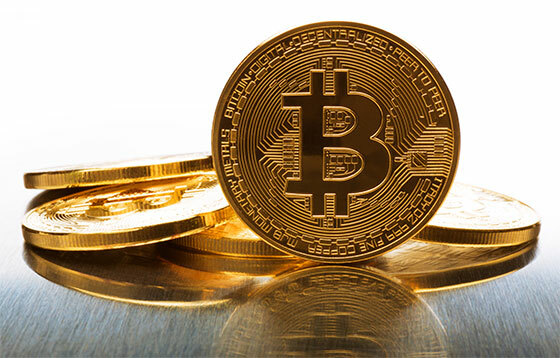 He also revealed the big event that will kick off crypto’s next run up in the coming weeks. But, you’ll want to act fast… the window on this incredible income opportunity is closing. Read on here.